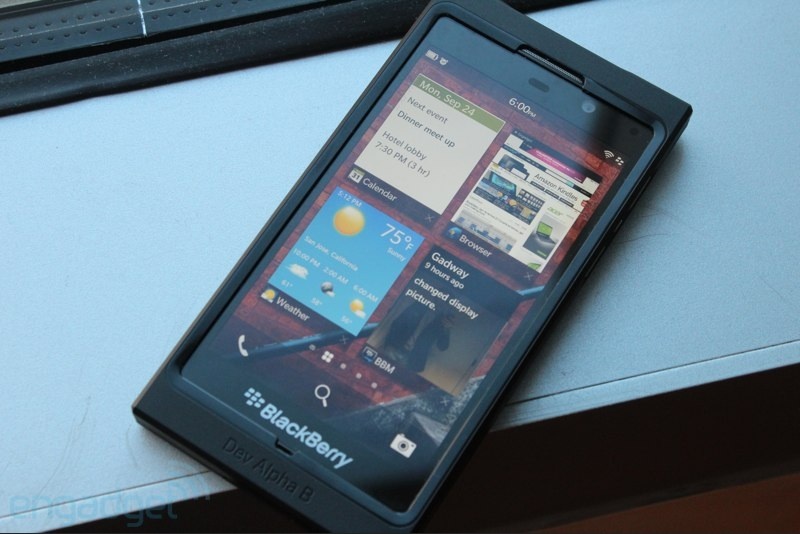 BlackBerry 10 Dev Alpha B handset photos | BlackBerry Blast! 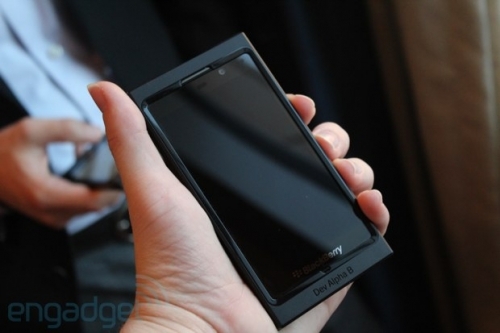 Earlier this year RIM created 500 BlackBerry 10 devices for developers to use. The BlackBerry 10 Dev Alpha handset was a hit and the company ran out. Now they've created the Dev Alpha B handset for developers and engadget got their hands on one. The new Dev Alpha B handset is made entirely of plastic and looks pretty clunky and boring. The build quality is a bit less than the Alpha A, but it is likely built this way because these phones won't really see the light of day. These handsets are used mostly to test software. As you know BlackBerry has had good build quality and BlackBerry 10 devices should be no exception. The Dev Alpha B comes with a 1280x768 display. It also features mini-HDMI and microUSB ports. Engadget reports that it runs BlackBerry 10 quite well. Check out the source link below for even more pics.